Manually chipping away at rock for hours, two cave explorers have discovered a massive, previously unknown system of prehistoric caves beneath the streets of Montreal. Estimated to be around 15,000 years old, the Ice Age cave network was found about 30 feet beneath the city’s Pie-XII Park adjacent to the St. Léonard cave already popular with residents and visitors. These shafts tunnel almost 700 feet into the earth – most of their depths filled with water, and thus, pretty hard to fully explore. Cavers Daniel Caron and Luc Le Blanc say they’ve suspected the existence of these caves since 2014, and spent much of 2017 exploring St. Léonard, which is already mapped, to find potential openings. They came across a narrow opening in the rock face that looked promising, but it was too small to enter, so they stuck a camera inside and took some photos of the chamber on the other side. The cave explorers used hammers and cordless drills to break the wall down and get inside, finding a cavern with impressively high ceilings that leads to an underground lake. 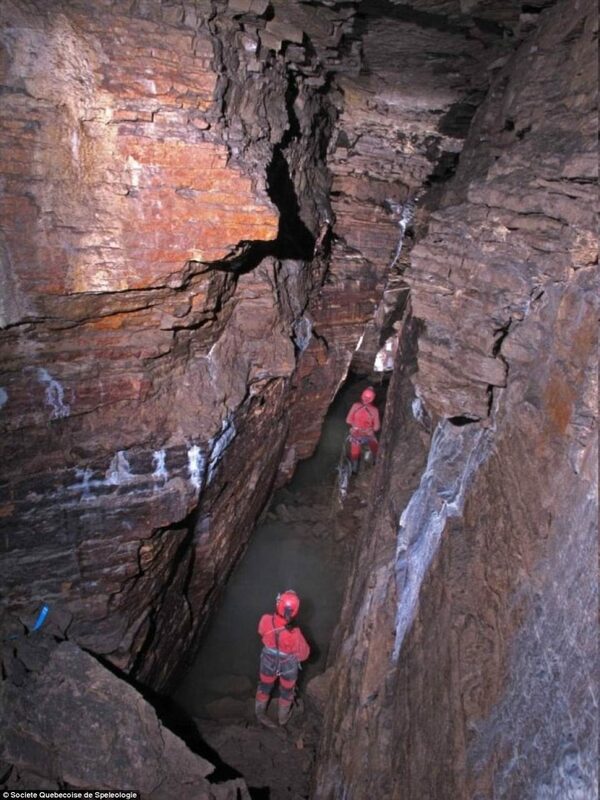 According to the Quebec Speleogical Society, Montreal was built right over this entire system without anyone ever realizing it was there, and Caron and Le Blanc may be the first humans ever to enter the newly-discovered areas. 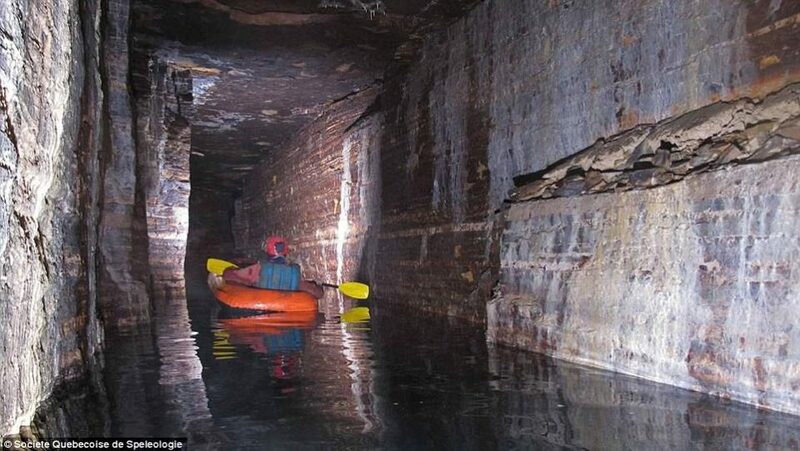 Many cities all over the world are built right atop underground wonders, from quarries and catacombs to bunkers and smuggling tunnels, but the foundations of many others remain a mystery. Many of us likely walk over secret worlds every day without ever realizing it.